Noel Best. Photo courtesy of Stantec. Our mandate was to integrate High Commission staff divided between two facilities [at Canada House beside Trafalgar Square and offices in Governor Square] and to integrate the two buildings at Trafalgar Square [that included Canada House and 2-4 Cockspur St.]. These were hand-in-glove concepts. Having all the staff together now is really positive. Another connecting historic fact Gordon [High Commissioner Gordon Campbell] probably discussed in his tour is that 2-4 Cockspur was originally the Sun Life Building that was the headquarters of the Canadian Army during the war. The basement lounge was actually the Commissary for the Canadian Soldiers. 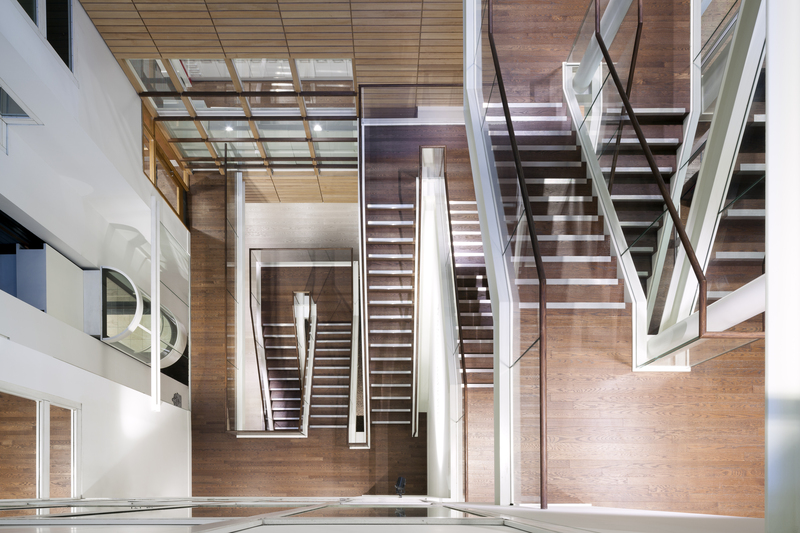 My biggest contribution was creating a new roof terrace and designing the stair within the atrium at 2-4 Cockspur St.
For me, however, the most important thing was to bring daylight into the building. [Canada House] was a very dark and inward looking building. So, not only did we change all the wall colours, we removed the window coverings to let the light really shine in, which is perhaps best exemplified in pictures of the BC room [overlooking Trafalgar Square]. We stuck to single glazing which was recommended by Purcell, our UK heritage and conservation architects. The [other] aspect of the reopened windows is that the building is now a really shining beacon of light, especially at night. You can really look right into the building and see it happening. Finding the right balance [between openness and security] was our challenge and it was certainly mandated from Gordon. 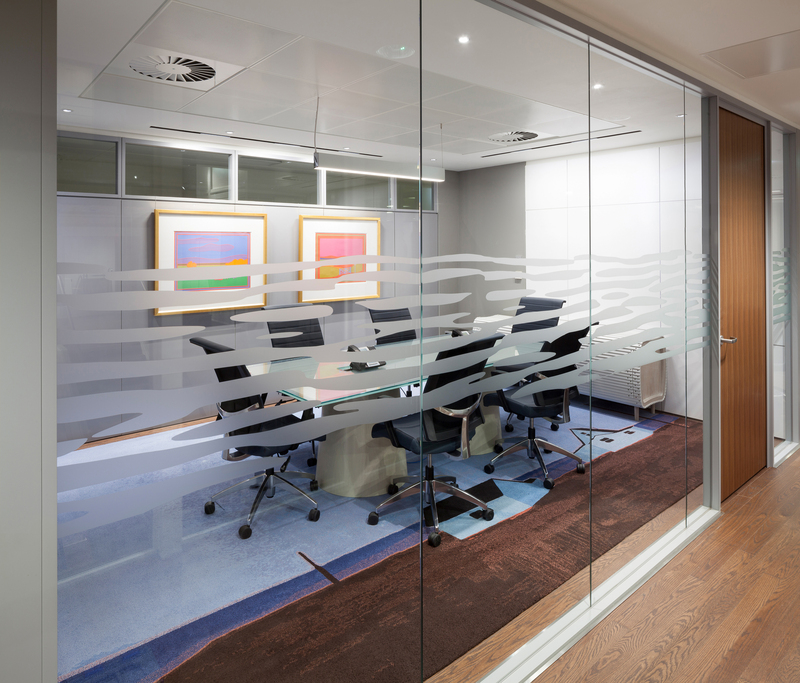 He was a very proactive client, he was really great; he came up with some of the key principles for this transformation. The other aspect was re-introducing a lot of the skylights that had been closed over. If you remember the view to the south from the top room in the old Canada House, you were [previously] looking onto a roof covered with what we called the “old dog houses” framing the original skylights. Rather than re-introducing these raised skylights on the north side where they had all been removed or closed over, we introduced super flat skylights that not only brought light deep into the space [below], but also capture that [exterior] space for a new roof terrace. If we had gone with a classical style of raised skylights that would not have happened. Not only were we bringing sky light into the space in a way that had been done originally, we were allowing people within the upper rooms to step out into the daylight in a way they were never able to do before. The existing atrium had a terrible marble fountain at its bottom that had been turned off 15 years ago because everyone was afraid of legionnaire’s disease, and probably for good reason. We removed the fountain but we didn’t have the budget to completely reconfigure [the atrium]. Thus, the form of its envelop is much as it was before. We also couldn’t afford to re-clad the whole thing. So the one wall we clad in [hemlock] becomes the focus with eastern daylight [from the atrium’s skylight] falling on it quite effectively. That is an instance where the judicial use of wood really worked. Of course, the stairs have wood treads and soffits. 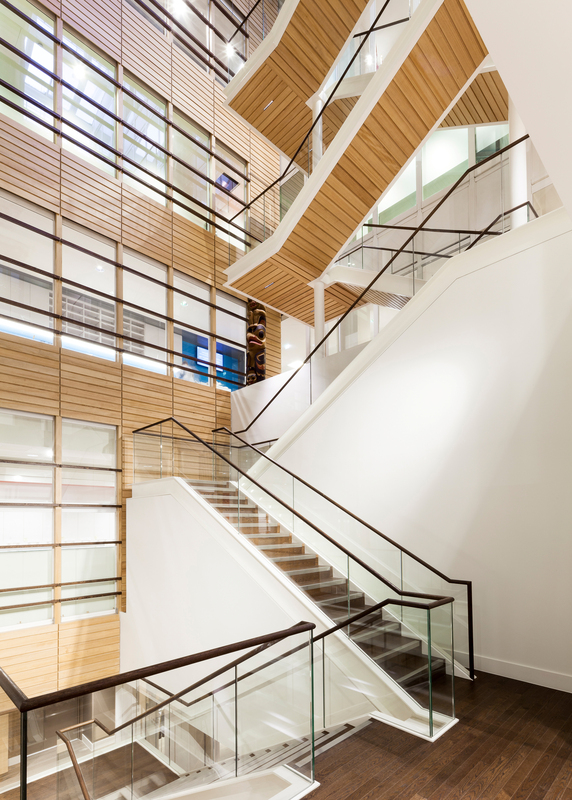 The original idea from Foreign Affairs [now Global Affairs] was to put in a small stair, but by stepping it out across the space as it ascends allows daylight to fall on every pier of the stair. It also means that when you look up at the stair you can see all the way up to the skylight; yet conversely, the light falls onto every flight as it comes down. The social implications are that it becomes a real congregation space as well as allowing for people to move up and down through the building’s levels. From above, when you look down, you can see everyone who is on it. It becomes a space for meeting people, a space for mingling the staff. This was one of the aspirations from the git-go, to bring the staff together not only from the two sites but on an ongoing basis once they were all together. The departments now have a connectivity. There is a government standard called Workplace 2. 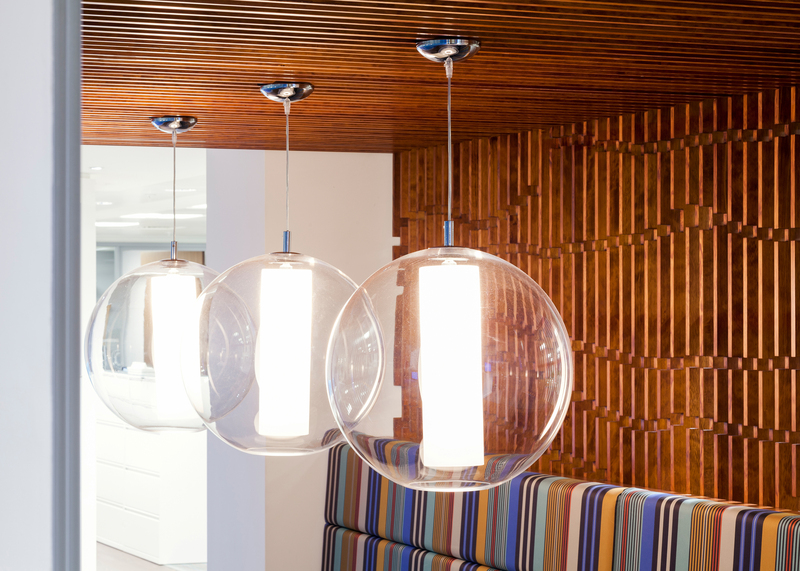 Staff space and furniture is mandated through this interior design standard. But at Grosvenor Square they had more space than what they needed [or allowed by the standard] so many were use to a private office or a very extensive work space. We anticipated resistance. But from what we have heard, benefits and the amenities like daylight, the art, the atrium stair, the kitchen facilities, the outdoor terrace and so on are so much above and beyond what was available in the past that, along with the overall ambiance of the working spaces, means they are generally pretty happy with the change. One of the big challenges was how to marry together neo-classical and Modern. When we went into the interview, we made the point that this challenge would be one of the more interesting aspects of the project, that is, honouring the neo-classical interior while at the same time bringing in everything modern and contemporary into the building. We could call it “layering on” but basically it was about always being ready to backtrack and reconsider. At the end of the day we made sure we were consistent in how we married the two. We paid a lot of attention to how the art and furniture fit into the context of scale and room details. Dan Sharp, the Curator for Foreign Affairs, and I spent a lot of time going through the collection in Ottawa and buying 91 new pieces for a total of 281 works. It was certainly Dan and my personal taste to start, but we knew we would be presenting it to Gordon and it would have to work for him. And then we would have to take it to a standing committee with representatives from the National Gallery. Ultimately, Gordon knew that when [Foreign Affairs Minister} John Baird walked into a room, it would have to be acceptable to him. It was a layered process. Dan was very impressed with Gordon’s engagement in the whole process. He [tells the story] that in the days leading up to the installation he would be carrying one end of a painting at 2:00 o’clock in the morning and Gorgon would be handling the other end. He has commented that he has never seen a High Commissioner so engaged in the process as was Gordon. It was more Cindy [Rodych] who was involved [with the competitive process for carpets and furniture]. But, essentially a call went out to local furniture makers and artists to make submissions, particularly for the carpet designs, and then they choose the winners from these. For the art work, we did not go through a competitive process. It was more a matter of Dan and me looking for pieces that would work well in the individual rooms. And in some cases we commissioned work – such as the Gordon Smith piece for the lobby off Cockspur Street. [Smith] presented two options, one a snow scene and one a water scene and he preferred the snow one. But we had already decided that water was such an important theme [for Canada] that we wanted one of his reflective water pieces. I believe Gathie Falk’s snowball stack, titled “Arsenal” is a really great addition. There is a limit of $25,000 for new acquisitions, but there are a few pieces including this one and the Smith piece that exceeded this limit; but the High Commissioner went out and found donors for these works. In choosing the art, we actually did mock ups so we really made sure the scale of the pieces were suitable for the scale of the rooms. It really does come together in the BC room. The photograph by Christos Dikeakos of the young violin player works particularly well along with Gathie’s oil painting [Pieces of Water #8]. Dikeakos’s duel photograph featuring a European collector with his First Nations collection placed aside the young violinist representing the next generation but also the European tradition are about winding together a series of pertinent themes. Canada House is not about some sort of radical intervention, it is more about careful, incremental steps. There is a phrase worth including about the naming of each of the conference rooms for a province, etc. It is the whole idea of “inclusiveness.” It was Gordon’s idea to name the rooms and I think it was a great idea. His emphasis was if someone comes from the northern territories or from Windsor or wherever, they should be able to feel that this is their place. By including all of the provinces and territories and then carefully including all the art work, all the furniture and all the colours to create a sense of place in each room is very successful. Hopefully, it becomes a place for all Canadians to see themselves represented. That was the core idea that Gordon brought to the table.